Summit Chorale is one of New Jersey's oldest active choral organizations, celebrating our 109th year during the 2017-2018 season. Led by Artistic Director, Dr. Thomas Juneau, we are well into our second century of exciting repertoire and music making. The chorale performs masterworks of choral literature as well as music from contemporary composers and explores varied musical styles. We strive for repertoire that will challenge our singers and appeal to a broad audience. 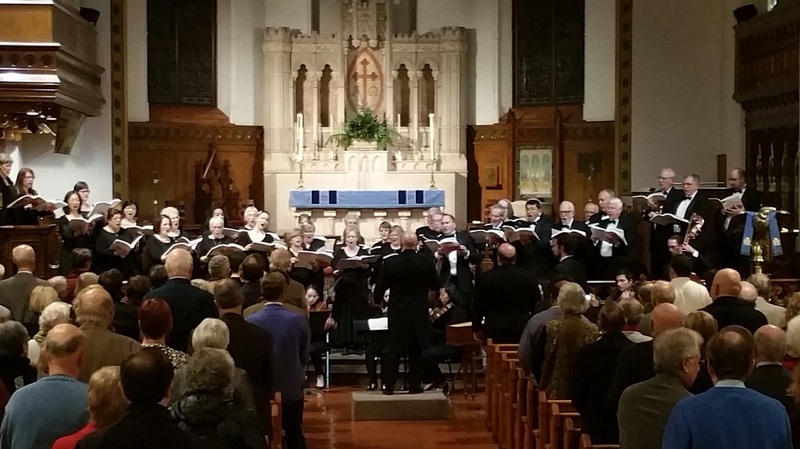 Recently performed works include Brahms's Ein Deutsches Requiem and Liebeslieder Waltzes, Whitacre's Lux Aurumque, Lauridsen's O Magnum Mysterium and new works by Dr. Juneau, including Festival Magnificat and Gaudete. Summit Chorale is a volunteer chorus. Membership is a blend of recent college graduates, well-qualified amateurs, and active professional soloists. Soloists are encouraged to audition since Summit Chorale's philosophy is to provide solo opportunities to its members. In addition to performing concerts and weekly rehearsals, members provide the majority of work needed to operate the organization. Volunteers assist in publicity, fundraising efforts, ticket sales, program publication, and concert staging. The Board of Trustees, elected by the regular membership, is comprised of singing members and community leaders.